Custom Garages Washington: No More Snow-Covered Cars! If you’ve lived in Washington state for several years, then you know that the winters can be very cold and snowy. You might be used to clearing the snow and ice off of your car every morning before you go to work, but there’s still a little part of you that wishes you had a garage where you could park your vehicle. At Better Built Barns, we can help you choose a custom garage for your property where you can protect your car or truck from the winter elements. With a number of options available, you can pick the one that best suits your needs! You may not mind the cold too much, but that doesn’t mean that your car likes it. If you have an older vehicle, then it may be a struggle to get it started on those frigid mornings. 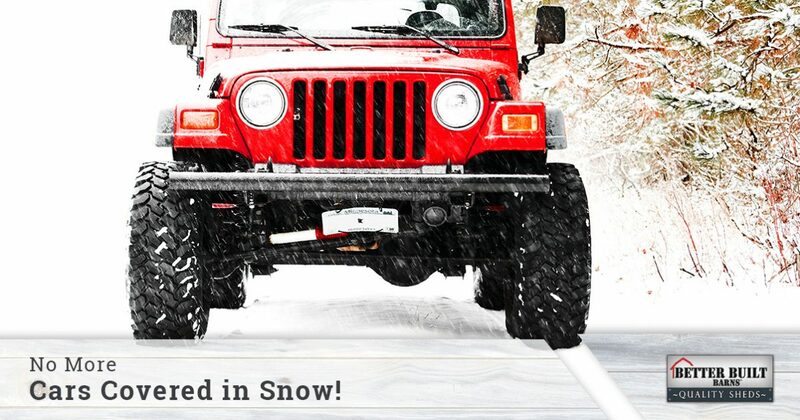 Once it does start, you may need to let it warm up before you can put it in drive and head to work. With a new garage, you can keep your car warm overnight, even if the interior space isn’t heated. The ice and snow won’t be as much of a factor, and you won’t have to worry about the car not turning over or struggling to start in the cold. You’ll be able to start your day sooner, and when it’s snowing and blowing at the end of the day, you can pull into the garage, shut the car off, and leave it until morning. When thinking about a garage, your first thought might be whether it will be attached to your house, or sit detached on its own elsewhere on your property. Both offer advantages, and you can decide for yourself which setting you prefer. An attached garage means that you can walk directly from the garage into the house, without having to go out into the cold, but a detached garage can be placed in any suitable spot around your property. If you don’t want the garage to be the first thing people see when they drive up, then a detached option is probably the best. At Better Built Barns, all of our custom building options are detached, and some models come with a covered carport for additional parking or storage. Even though your new building is detached, that doesn’t mean that you can’t erect it right next to the house and attach it in the proper way. We’ll gladly answer your questions regarding your construction options. 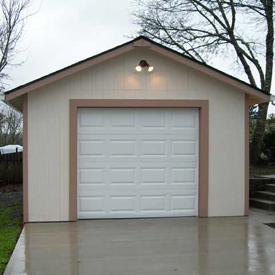 If you’re interested in building a custom garage, then please contact us right away. We’re located in Lakewood, WA, and our staff will gladly help you choose the right building that meets your needs. We can build your garage in one day, and we’ll walk you through the site preparation details. Keep in mind that your town or municipality may require you to obtain a building permit to put up a new garage, and that there will likely be clearance and distance requirements when it comes to your property line and any overhead power lines.